There are four essential elements to good copywriting and to make them easy to remember we call them the 4Cs; cut, colour, clarity and carat. Forget any one of these and chances are, your copy isn’t going to deliver the results you’re after. And we know,;you want results you can measure. We’ve outlined them below (we’re good like that) but if you’re in any doubt at all – don’t hesitate to get in touch. 1. In a cluttered advertising world, Cut is essential. If your messages don’t cut through, the can’t be acted upon. Effective copywriting stands out from the dross. A good copywriter will identify your market position and enhance it. 2. In marketing, Colour is your personality; it’s what makes people like you and want to spend time with you. It’s what builds your brand. A good copywriter can nuance your marketing so it’s more appealing to your target audience. 3. Clarity seems obvious. Confused people can’t reliably do what you want. To be effective, your marketing material has to be clear. Often it takes an outside perspective to really hone the point. 4. 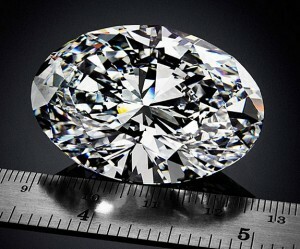 Carat is a diamond weight and we all like weight in our favour. The benefit of your offer has to outweigh your prospect’s effort. Perception is gold (24 cts). It’s not about bribing your customers; it’s about making your true value explicit. Copy Carats is all about delivering the right elements to make your messages work. If you want to know more… talk to us today. This entry was posted in Learn to Write, Writer's Corner on October 2, 2014 by Cara Tipping Smith.